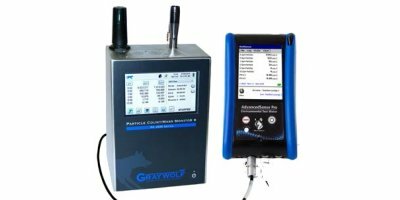 Use the PC-4000/5 as a stand-alone particulate meter, plug it into a mobile computer or into a sophisticated AdvancedSense/WolfPack system for simultaneous connection with GrayWolf’s DirectSense probes. 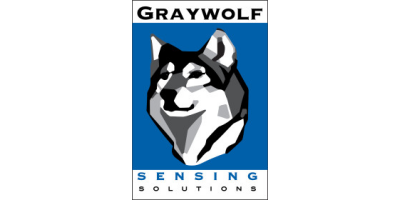 Easily download data from the PC-4000/5 using the included WolfSense PC Software to create high quality trend/bar graphs/tables with WolfSense’s advanced organizational features or simply export to Microsoft Excel. Optionally add Advanced Report Generator software for extremely efficient, automated reporting of particle count/concentration data. Easy-to-read 4.3″ (10.9 cm) WQVGA (480x272) color touch screen. Offering 6 channels of simultaneous particle counting, this unit displays both particle counts and (PM) mass concentration (µg/m3 ). PM 0.5, PM1.0, PM 2.5, PM 5.0, PM 10 and TSP may be concurrently displayed and logged. Optionally add simultaneous %RH and °C/°F (PC-4000) plus TVOCs and/or CO2 (PC-4005). And even more parameters via interface to AdvancedSense Pro/ WolfPack/DirectSense. Additional Optional Accessories: Calibration hood, printed manual, spare battery, spare external battery charger and isokinetic probes Buffer Memory 40,000 sample records (rotating buffer) including particle count data, environmental data, locations and times. 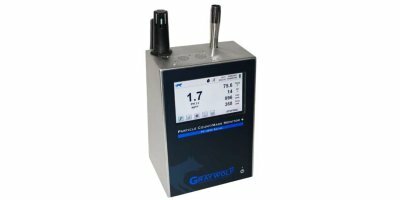 No reviews were found for GrayWolf - Model PC-4000 Series - 6-Channel Particle/Mass Monitor Plus. Be the first to review!